How prepared are you when it comes to building network-enabled applications? 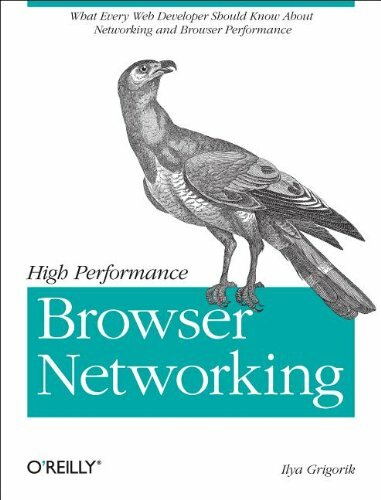 This book provides what every web developer should know about the network -- from fundamental limitations that affect performance to major innovations for building even more powerful browser apps. By understanding what the browser can and cannot do, you'll be able to make better design decisions and deliver faster web applications to your users. The book surveys the disciplines that inhabit the study and practice of human-computer interaction. The authors are passionate advocates of innovative applications, novel approaches, and modern advances in this exciting and developing field. With this book, developers will learn how to use the latest cutting-edge HTML5 web technology -- available in the most recent versions of modern browsers -- to build web applications with unparalleled functionality, speed, and responsiveness. by Mark Pilgrim - O'Reilly Media, Inc.
100 ingenious hacks for power users who want to master Greasemonkey, the hot new Firefox extension that allows you to write scripts that alter the web pages you visit. With Greasemonkey, you can create scripts that make a web site more usable.